Anyone had any experience with new Sprinters in Baja with the Low Sulfur Diesel. I read fire in brimstone on the internet and know one crew who tell me that have no issues. Anyone else have any real experience? Not much has changed since then except a few more places with ULSD in big cities. I have been keeping up on this issue reading Mercedes bulletins since we are getting a Sprinter. The reason you get diverse opinions is that the problems with LSD take a LONG time to appear. So people who have only taken 4-5 drives down the length of Baja with LSD will not have noticed any issues.....yet. The problem is that the impact of low sulfur diesel vs. the recommended ULSD is that both the new and old Sprinters will run just fine on the LSD. So it is tempting to say to hell with and just use LSD since ULSD is usually not available in Baja Sur. But there is slow cumulative damage to the engine in older sprinters with LSD since they require more sulfur in their fuel as a lubricant. So I think it comes down to how long you want your Sprinter to last. Do we have any Mercedes reps or mechanics out there with real details? i have no experience with sprinters particularly, but i have owned a long series of diesels starting before ULSD, through the new "clean diesel" debacle, and many years using bio. another consideration is refinery techniques. my experience is that LSD is not as refined a product, hence residual particulate matter is greater and the particles are larger. modern diesels commonly use injection pressures at tens of thousands of PSI. these injectors require exceptionally clean diesel, which can be hard to find in remote places. this is what ultimately doomed bio greater than B5 in new VW engines. it destroys them. my bet is LSD purchased remotely will as well. the tests done on bluetec engines using bio (B100) ultimately failed in exactly the way mike describes: engine death many thousands of miles down the road. all seems well until it's not. So is this just an issue with sprinter Diesel engines, or are all new makes of diesels susceptible to the same issues in Mexico?? All the newer USA diesels are designed to run on Ultra Low Sulfur Diesel. The extent of the problem in Baja depends upon the type of solution different makes have to meet USA pollution requirements. 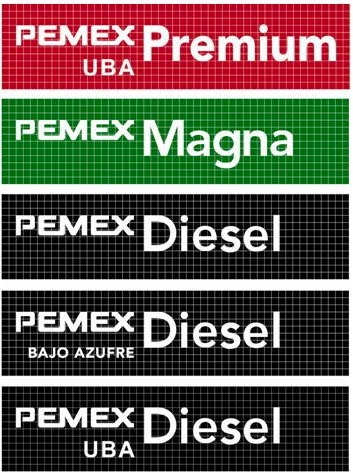 Mexico has a huge fleet of diesel big rigs and they are not about to make them all useless doing away with LSD. So in big cities where there are lots of gringos and affluent Mexicans with diesel cars and trucks you can find ULSD. But the small towns and villages of Baja Sur it is not practical to offer it since demand is low and the expense of adding new pumps and underground tanks for ULSD is high.